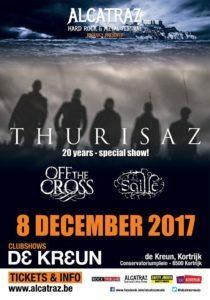 On december 8th we celebrate 20 years of THURISAZ, 10 years of CIRCADIAN RHYTHM… 2 celebrations in one ULTIMATE SHOW!!!! 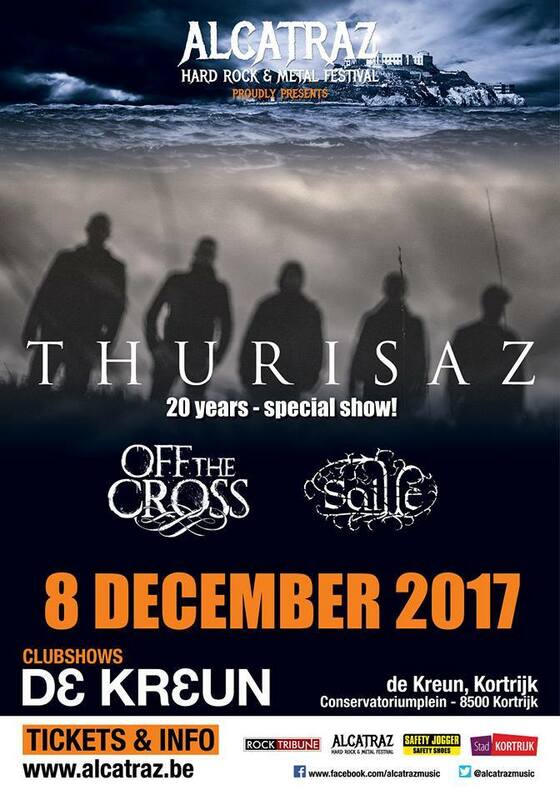 For the first time ever, we will perform the entire Circadian Rhythm-album, with in addition a ‘best of’ of 2 decades Thurisaz!!! Not convinced yet??? How about we add some live STRINGS and amazing GUESTSINGERS!!! Support by Saille and Off The Cross! Get your tickets for this unique concert now at www.alcatraz.be or www.wildewesten.be!!! Big thank you to Alcatraz Music for hosting this show! !